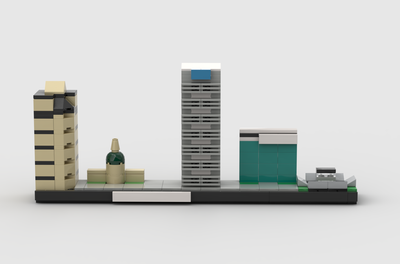 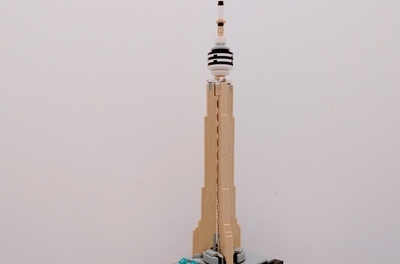 This model I made is a simplistic design of the CN Tower, located in Toronto, Canada. 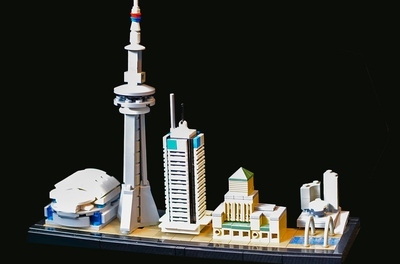 From its base to antenna, the structure is 1,815.3 ft tall, and is arguably the most iconic building in Toronto, or even Canada. 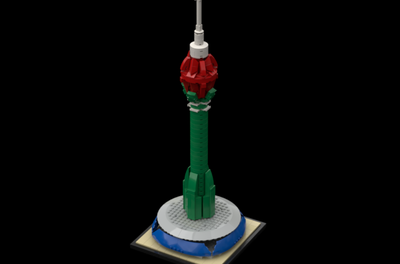 This very simple design only consists of 131 bricks, and is suitable for kids and adults 10+.